WASHINGTON – (RealEstateRama) — According to the National Association of Realtors®’ Community Aid and Real Estate report, nearly 70 percent of Realtors® volunteer in their community each month. Realtors® play a critical role in the process of buying and selling homes, and many help make their communities better places to live and work by undertaking various impactful volunteer projects. For the 10th year, NAR is honoring Realtors® who give back through the Volunteering Works Grant and Mentoring Program. The program, which connects mentors with Realtors® who are building new community service projects, is now seeking entries. Realtors® who work on small-scale charitable efforts that have growth potential are encouraged to apply. Five Volunteering Works recipients will benefit from a year of one-on-one mentoring from a member of the Good Neighbor Society, along with a $1,000 grant to help implement improvements in their respective community program. The society comprises past recipients of NAR’s annual Good Neighbor Award, which recognizes outstanding achievement in community service. Volunteering Works recipients are considered based on their dedication to volunteering and on the potential for their charitable work to be expanded or improved upon with the help of an expert mentor. Ideal candidates have been active in a charitable project, can identify specific challenges they would like to address with the help of a mentor and have specific goals for the future of their project. 2018 Volunteering Works mentoring recipient, Carl L. Carter, Jr., founder & executive director of the Beverly Carter Foundation in North Little Rock, Arkansas, spoke on the importance of the program. The deadline for entry is February 28, 2019. 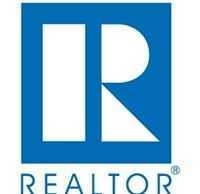 For a Volunteering Works entry form, visit www.nar.realtor/gna and click on “Nominate.” Applicants must be NAR members. NAR’s Volunteering Works mentoring and grant program is sponsored by Wells Fargo. Wells Fargo Home Mortgage is one of the leading originators and servicers of residential mortgages, offering home loans to consumers through the country’s largest network of mortgage locations and bank branches, online, and via phone. With more than 6,000 Home Mortgage Consultants across the country, expanded digital capabilities, and products and programs for today’s market, Wells Fargo is committed to meeting Realtor® expectations and homebuyer needs. Focused on a culture of caring for communities, Wells Fargo is a proud sponsor of two NAR programs that recognize extraordinary contributions made by Realtors® in the communities where we, together, live and serve—the Volunteering Works mentoring program and the Good Neighbor Awards.